Welcome to The Modern Witch - I’m Stacey Demarco. Browse through the site for the information, support and tools that you can use to experience real power and discover what real witchcraft is. Who is The Modern Witch? We have gathered an extensive amount of information and resources to help you learn more about being a modern witch. The Modern Witch has created a store full of tools, supplies & books to help you get the most out of your intentions. Book a personal spellcasting, oracle reading or cutting cords session. Learn which session is the right one for you. Get clear, be empowered, have fun and discover something new whilst you learn from a witch with decades of experience. The Modern Witch workshops have an emphasis on ethical, practical magic and offer real life techniques you can use everyday to improve your life. 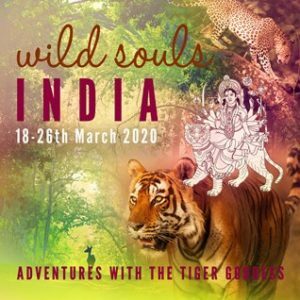 Learn with like-minds in a nurturing environment for one day or travel to a stunning international destination for a full mind, body and spirit immersion on a unique retreat. “The 5000” is a group that originated from the 5000 members of my Facebook page. Every member is an active catalysts for change for the planet and the animals within it. The 5000 stand for active spirituality, that is, we reject specific dogma and just get on with the task of making the earth a better place starting with the earth itself. We choose to work on projects that result in direct action and change. Subscribe to The Modern Witch newsletter and as a big thanks you will receive a free audio download of her “5 Minute Refresher Guided Meditation” from Stacey. Stay up to date with the latest Modern Witch news, events, products and deals.